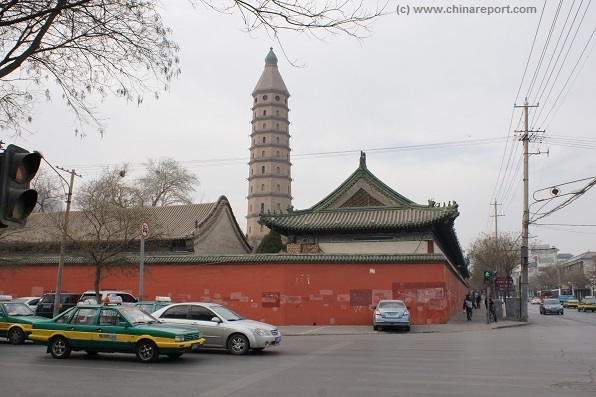 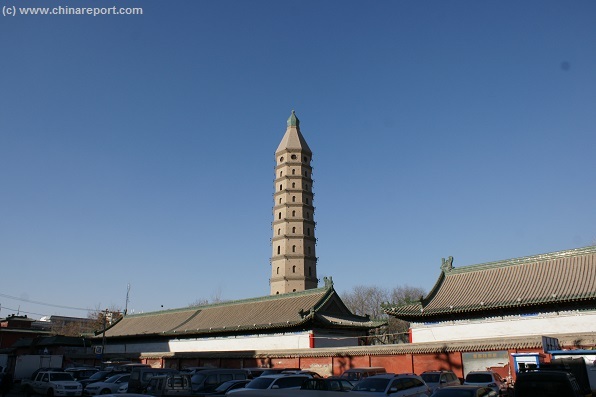 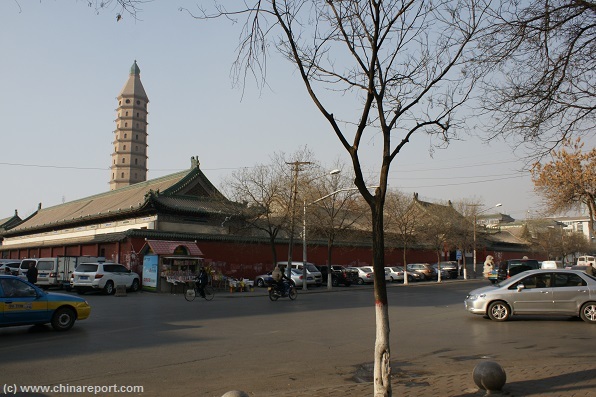 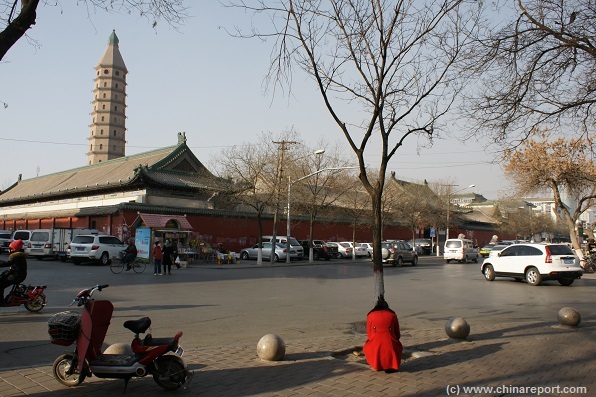 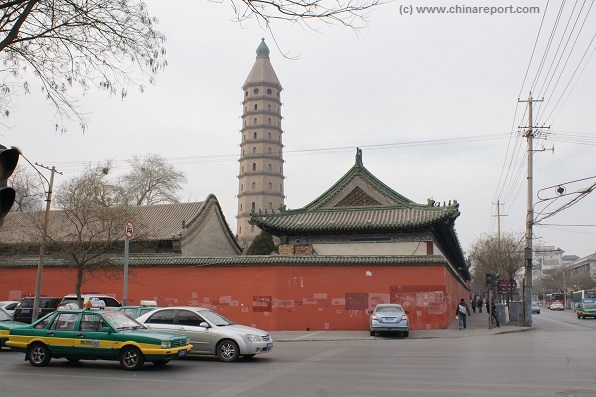 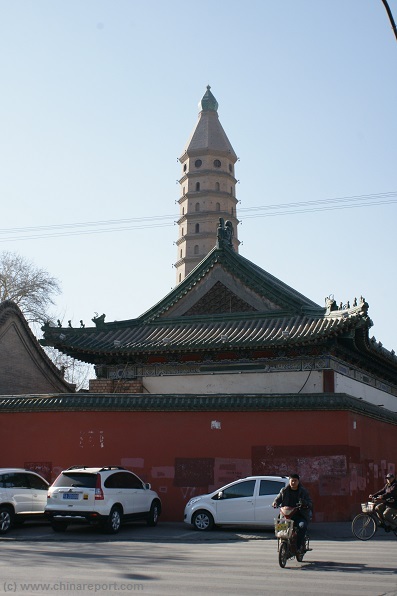 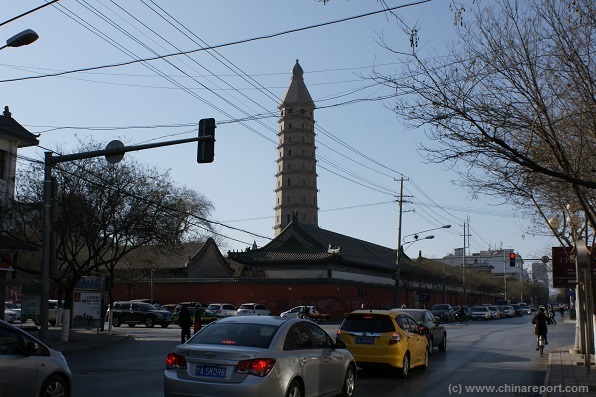 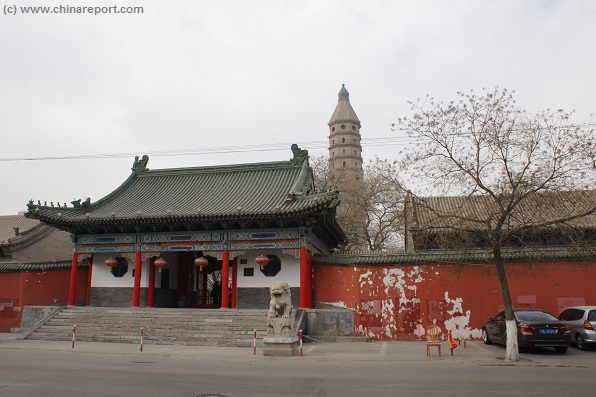 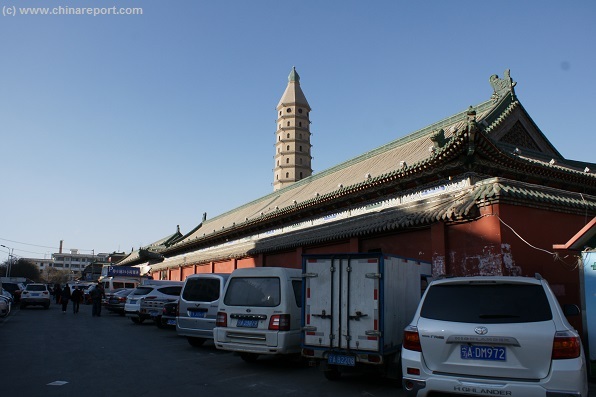 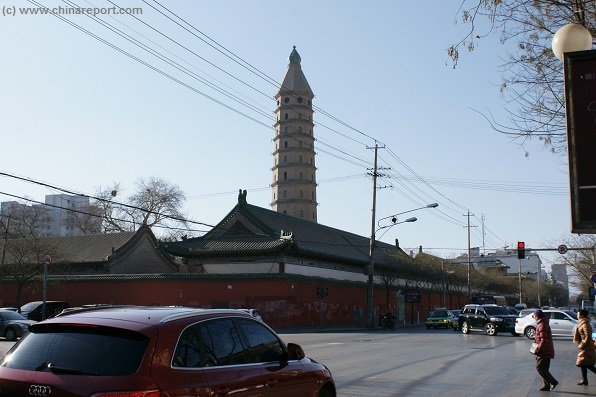 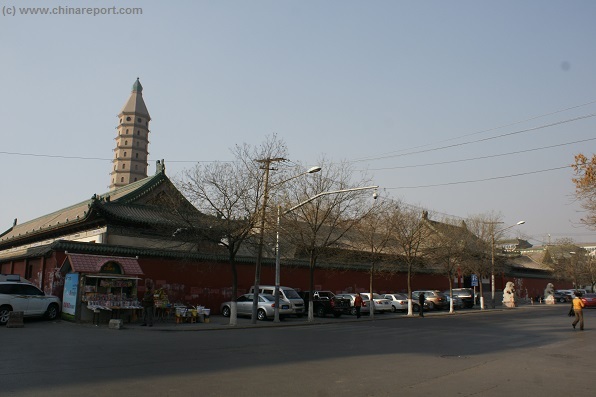 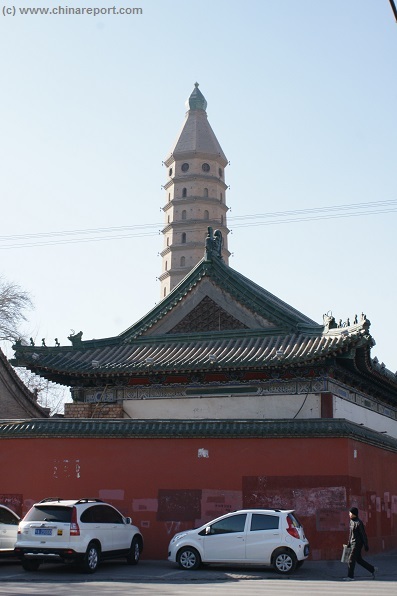 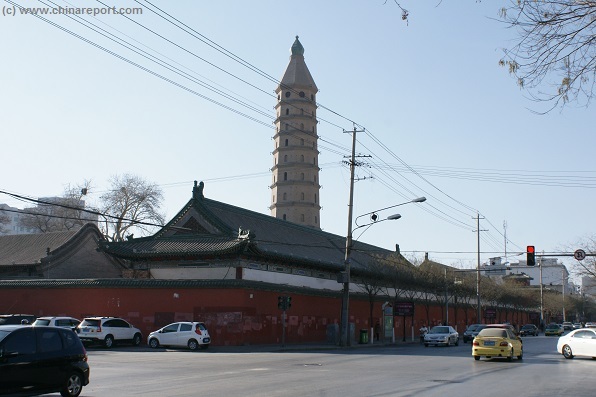 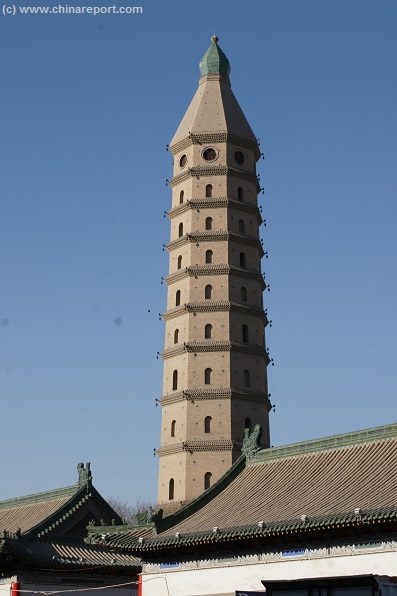 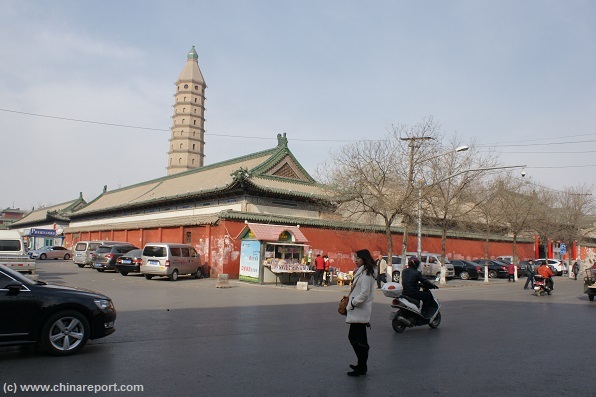 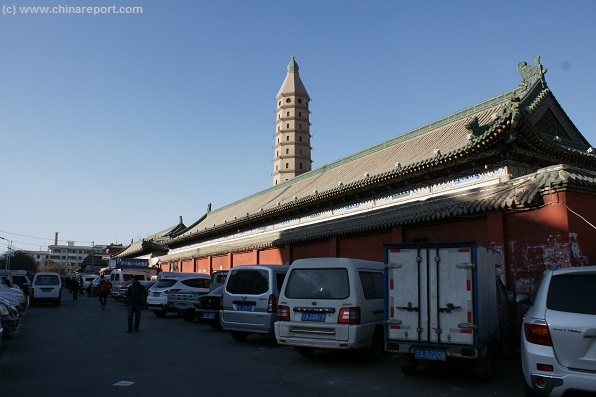 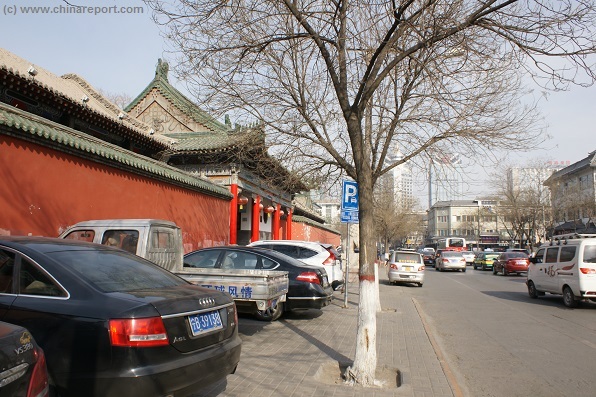 The Main landmarks within suburban districts of Yinchuan are: the Bell- & Drum-Tower and nearby Yuhuang Pavilion, South Gate Square, the City Mosque or Nanguan Mosque, the North Pagoda and Temple (Haibao Ta) which are situated 2 kilometers outside of the Old Town proper, the Chengtian Si and its West Pagoda and finally, The Ningxia Provincial museum with exhibitions on both the long history of the region and the details and riches of the Hui Ethnic Culture. 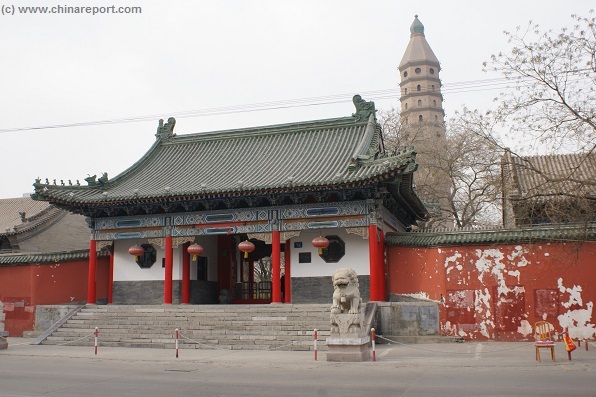 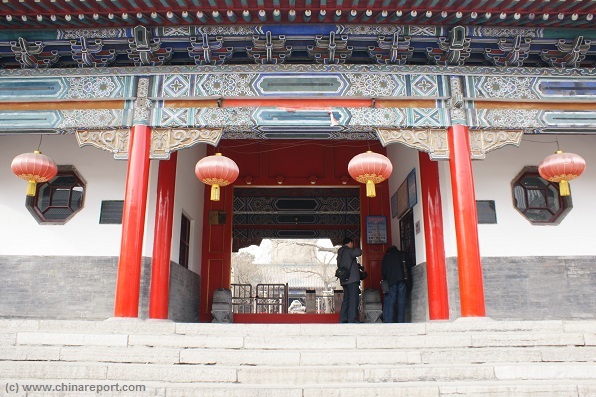 In total there are over 60 historical sites to be visited and enjoyed in Yinchuan and its vicinity. 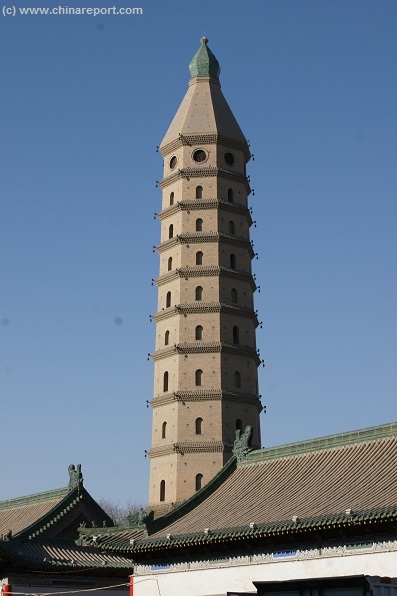 For More information on Landmarks, Monuments and Scenic Spots in the wider Region of Yinchuan, please refer to: 'Landmarks, Monuments and Hotspots of Yinchuan Region'. 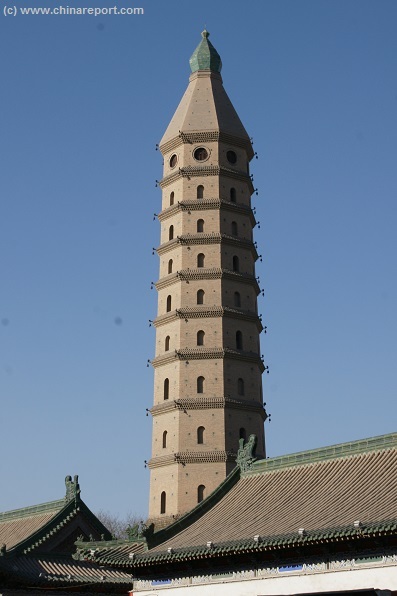 Or Read: 'Landmarks and Monuments of Ningxia Hui Autonomous Region. 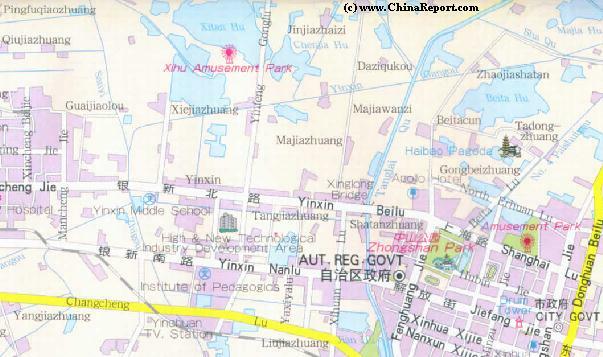 A Map of the North-Eastern section of Yinchuan (Beitahu) with the locations of Zhongshan Park and the Haibao pagoda & monastery. 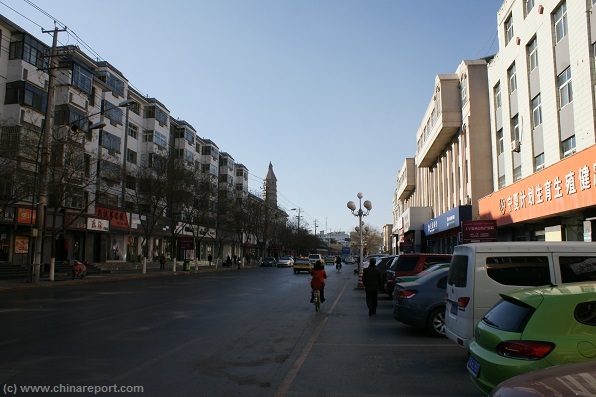 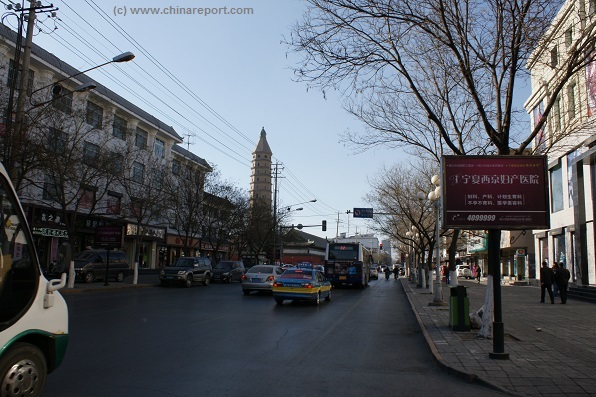 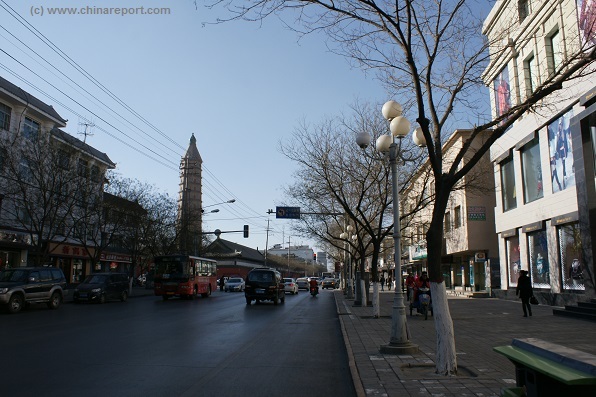 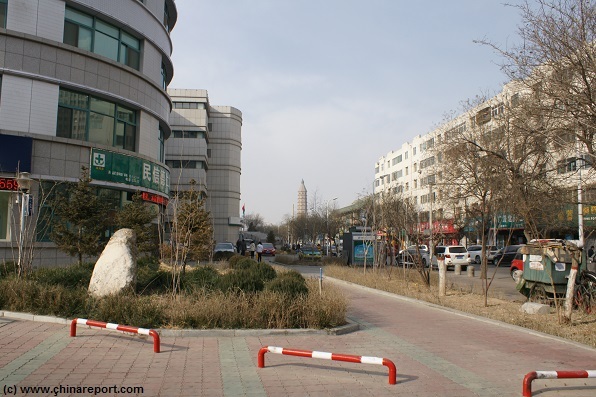 The Main landmarks of Yinchuan City are as listed below. 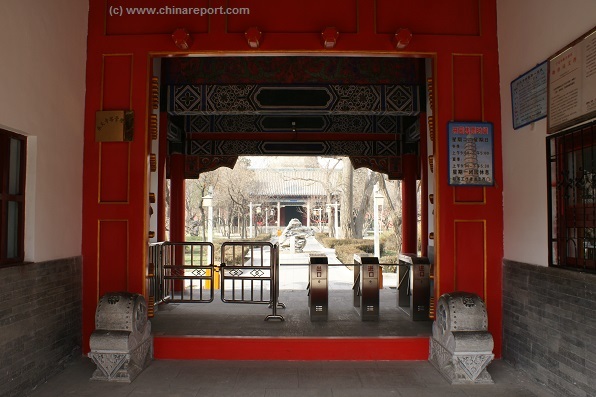 Entrance of Haibao Park, which lies surrounding the Haibao Temple and includes streams and ponds, rockeries and a chang lang - long wooden walkway with decorations.